Come paint “Corazon” with The Paint Sesh at MTL in Downtown Riverside. This is a special Valentines, Date night event for those looking to do something fun with their partner, friends or loved ones. 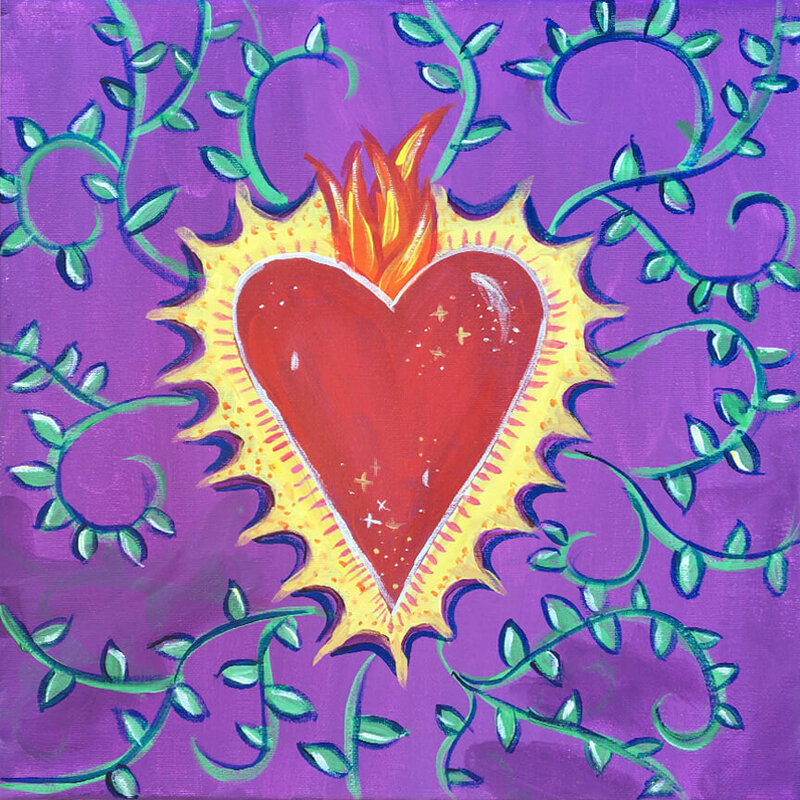 Paint your version of the iconic sacred heart on a 12×12″ canvas while enjoying some of those tasty drinks MTL is known for! The instructor will guide you and your friends through two lively hours of creativity, fun and lets be honest art is a form of therapy, sometimes you just need a night out! The best part? You don’t have to be an artist to have an amazing time. Must be 21+ to attend. Refreshments, and alcohol are not included in the cost. However they can be purchased separately at the venue before, after, or during the event! We definitely recommend for you to arrive early before the event so you can have your drinks ready for you when we start painting. -CHEERS!